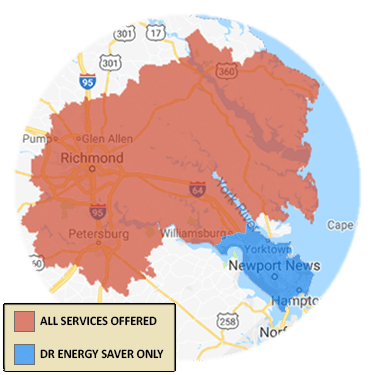 Blown Fiberglass Insulation For Greater Richmond, Midlothian, Glen Allen, Mechanicsville, Chester | Is Blown Fiberglass Insulation Right For Your Home? Many Virginia houses have comfort and energy problems because of inadequate insulation. Fortunately, an attic insulation upgrade is one of the most affordable and cost-effective energy upgrades available. By sealing energy-wasting air leaks and upgrading attic insulation according to Dept. of Energy recommendations, you can cut your heating and cooling costs nearly in half. Schedule a free estimate for blown fiberglass insulation today! The Drying Co./ThermalTec is your locally owned home insulation company. We specialize in many areas of insulating the home, as well as installing blown fiberglass insulation. Experience the comfort your home deserves with our home insulation and air sealing services, contact us today to get started!